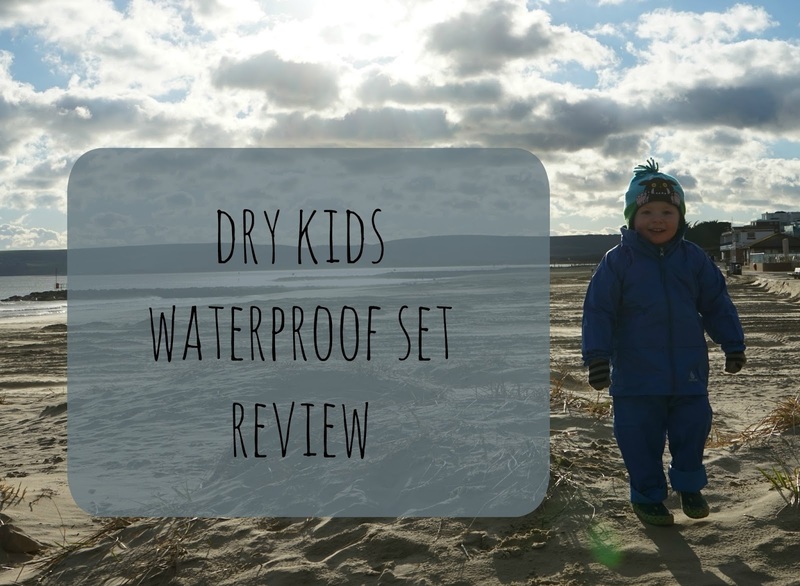 It feels like it hasn't stopped raining since Christmas so when Dry Kids contacted us, it couldn't have come at a better time! Dry Kids offer colourful, affordable waterproofs and I was excited to take a look at their website and see what they had to offer. 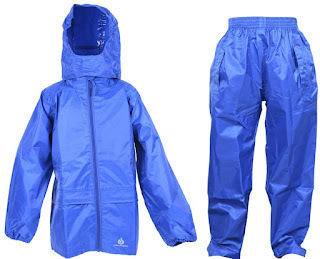 We were asked to review something from their range so I picked a waterproof trousers and jacket set for Elliot. 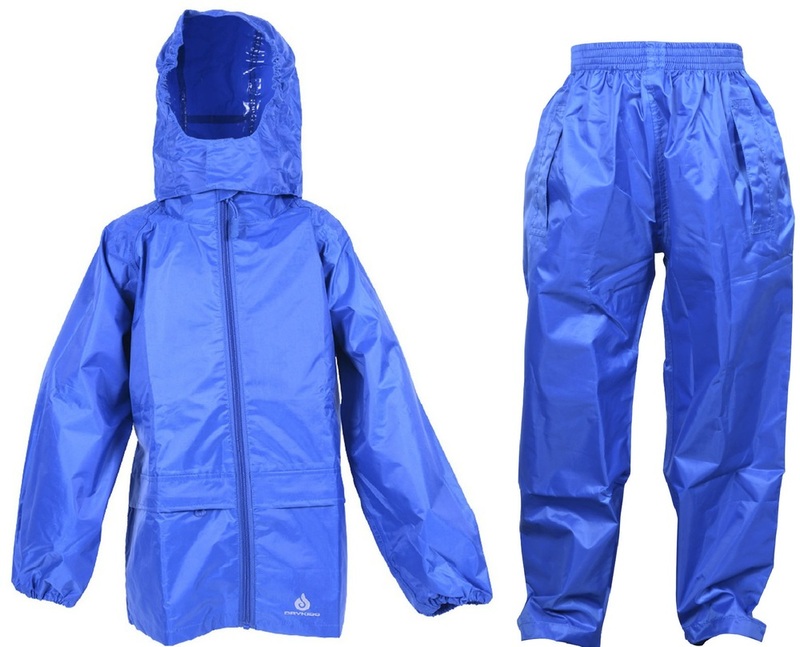 When the waterproof set arrived the first thing I noticed was the quality of the clothes. Compared to Elliot's current raincoat, these were so much thicker and well made. I loved the colour, a really vibrant royal blue. Ironically, the day the waterproofs arrived we had no rain but we decided to test the set out down at one of our local beaches. I ordered the size 3-4 for Elliot, he's only just 3 but is quite stocky but there was plenty of room in the jacket and trousers. In fact the trousers were quite long on him but I just rolled them up - it meant I couldn't use the poppers but it means he'll get a good couple of years wear out of them! Because the jacket and trousers were a good thick quality, I had no worries about Elliot getting cold whilst we were on the beach. It was a really cold day and there was a sharp wind but the clothes kept him nice and warm..that and all the running down sand dunes! We did actually get to test out the waterproofs later on in the week when the rain returned. 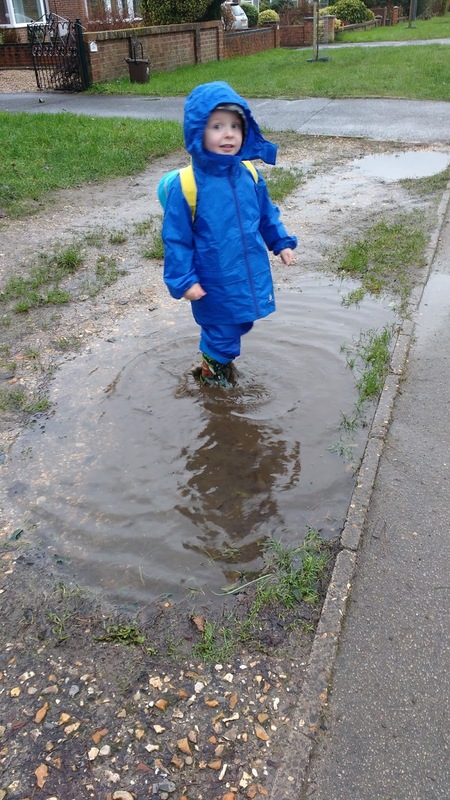 We had a particularly soggy walk home from pre-school one day but Elliot was nice and dry in his waterproofs, he even road tested the trousers out in a spot of puddle jumping! Overall, I'm really pleased with the set and I won't hesitate to purchase from Dry Kids in the future. 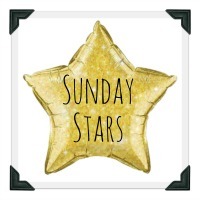 A great way to enjoy some outdoor Country Kids fun and stay dry and clean underneath too. These look like good value!